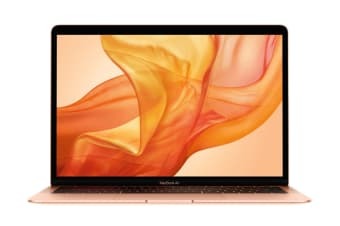 The Apple 13.3” MacBook Air features a brilliant Retina display, Touch ID, the latest-generation keyboard and a Force Touch trackpad. 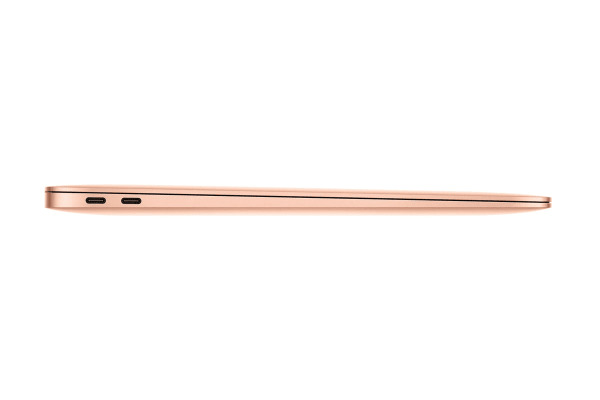 And with an all-day battery life, MacBook Air is your perfectly portable do-it-all notebook. An eighth-generation Intel Core i5 processor helps you power through daily activities, from reading emails and browsing the web to creating Keynote presentations and editing in iMovie. 8GB of memory lets you work seamlessly even with multiple apps open, while 128GB of SSD storage lets you launch apps in a flash and provides plenty of room for all your documents, photos and videos. Maximise your productivity with the MacBook Air, which offers up to 12 hours of use. It’s your day-in, day-out dynamo. With four times as many pixels as an HD display, the results are positively jaw-dropping. Images take on a new level of detail and realism and the text is so sharp and clear that you’ll feel like you’re reading documents, email and websites on a printed page. The advanced security and convenience of Touch ID are now built into MacBook Air. Simply place your finger on the Touch ID sensor and just like that, your Mac unlocks. Use your fingerprint to immediately access locked documents, notes and system settings, without entering yet another password. 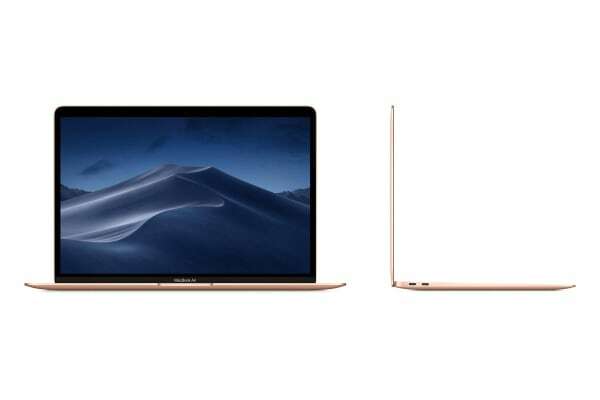 And thanks to the featured Apple T2 Security Chip, you can rest assured knowing that your information is safe and secure..
Thunderbolt 3 combines ultra-high bandwidth with the ultra-versatility of the USB-C to create one revved-up universal port and MacBook Air has two of them. Thunderbolt 3 integrates data transfer, charging and video output in a single connector, delivering up to 40Gbps of throughput for twice the bandwidth of Thunderbolt 2. Existing devices are easily connected with a cable or adapter. And Thunderbolt 3 is reversible, so no matter how you plug it in, it’s always the right way up. With the latest in processing and tuning techniques, MacBook Air sounds better than ever. Stereo speakers deliver twice the bass and wider stereo sound creates immersive audio when you’re listening to music or watching a movie. The high-definition FaceTime camera lets one or many of your friends and family members see you in sharp detail. And three microphones form an array that more accurately captures your voice for FaceTime calls, dictation and talking to Siri.